Listen to the IVHE Podcast intervew with the owner of Rainbow Coral here. 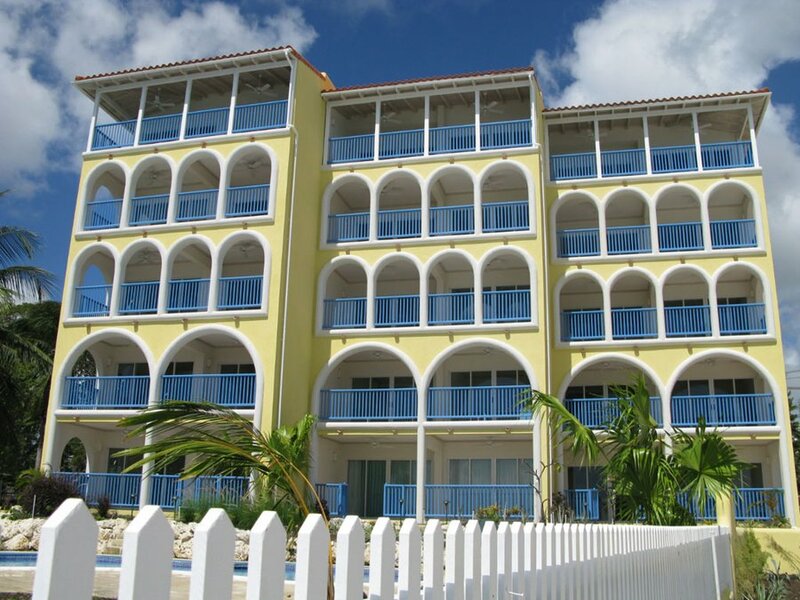 Rainbow Coral is one of 15 newly built luxury apartments, on the fourth floor of a 5 storey block, on the up and coming cool and breezy south coast of Barbados. 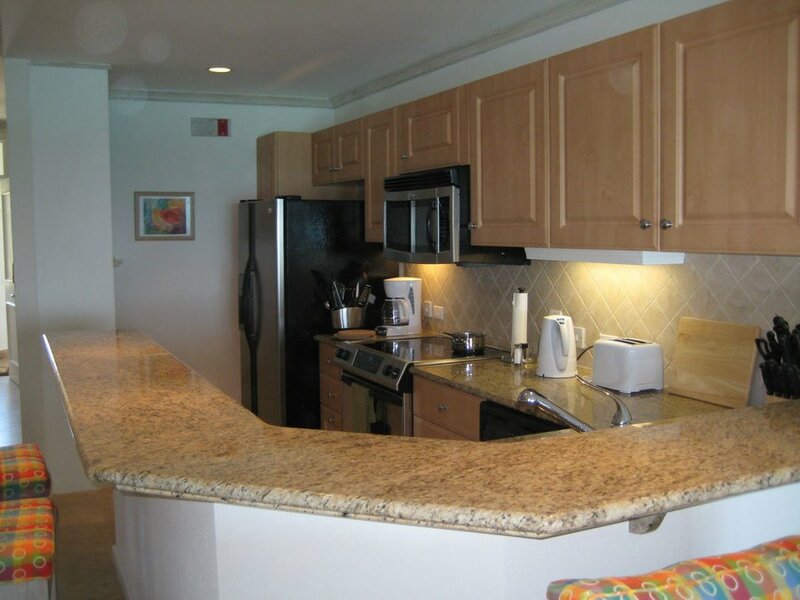 The apartment, accessed directly by elevator from the basement parking area, overlooks the communal garden and pool area , as well as the beach, from its large balcony. Watch a video of this great vacation destination. 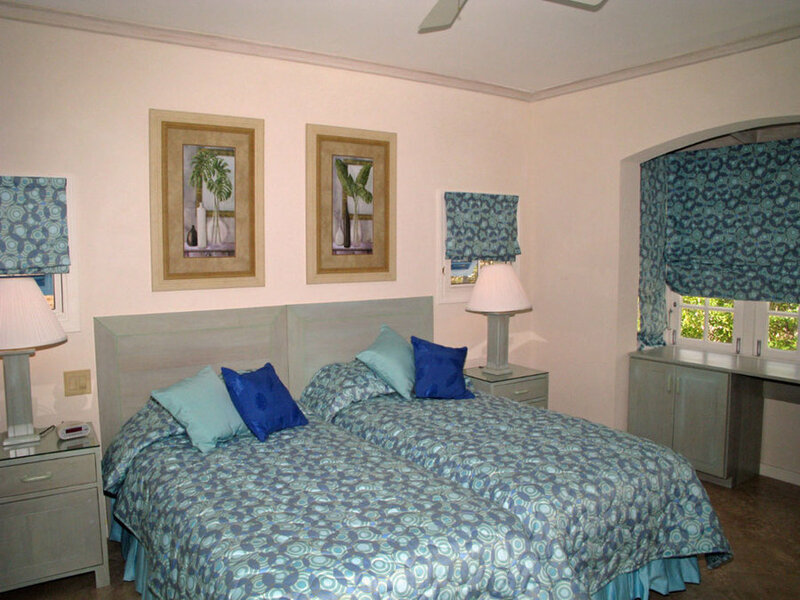 The apartment is spacious ( 1320 sq ft), and comprises two bedrooms, each with its own bathroom and dressing room, full size kitchen, living room and porch with dining and sitting areas , and has been fully equipped to the highest standard. There are ceiling fans as well as air conditioning units in all rooms, if required, although most of the year there is a steady cool breeeze coming in off the sea. 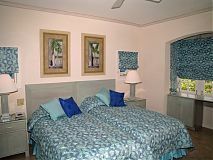 The apartment is ideally located on Maxwell Beach, just 10 minutes from the airport, and 5 minutes from the Durants golf course, as well as the popular Oistins fishing village, famous for its Friday night fish fry. Not far away is the trendy St. Lawrence Gap area, with its restaurants and night life. 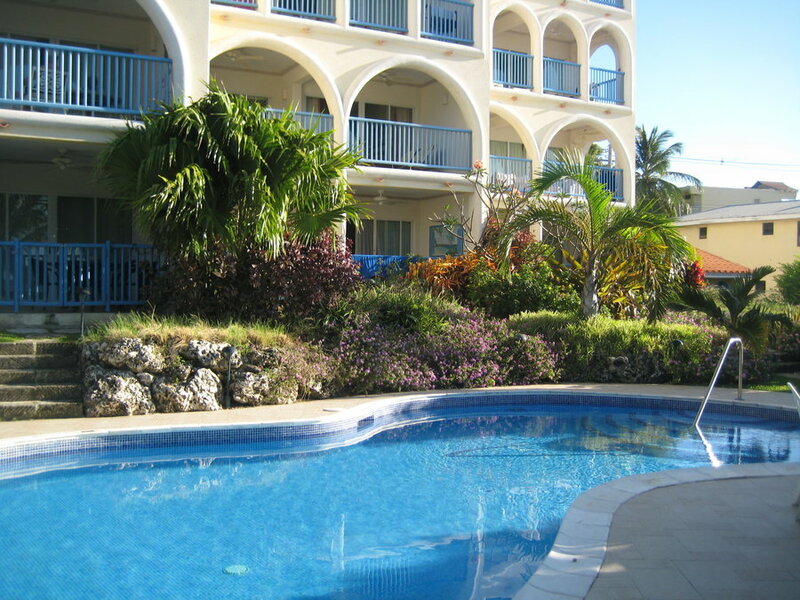 There are shops and a supermarket within walking distance, and the apartment is on the main bus route to Bridgetown. There is a sofa-bed in the living room which can accommodate one more adult, or two small children. Apartment Manager on site weekdays 8am - 4pm. 24 hour security on site. Maid service available at an additional charge of US$25 per day. 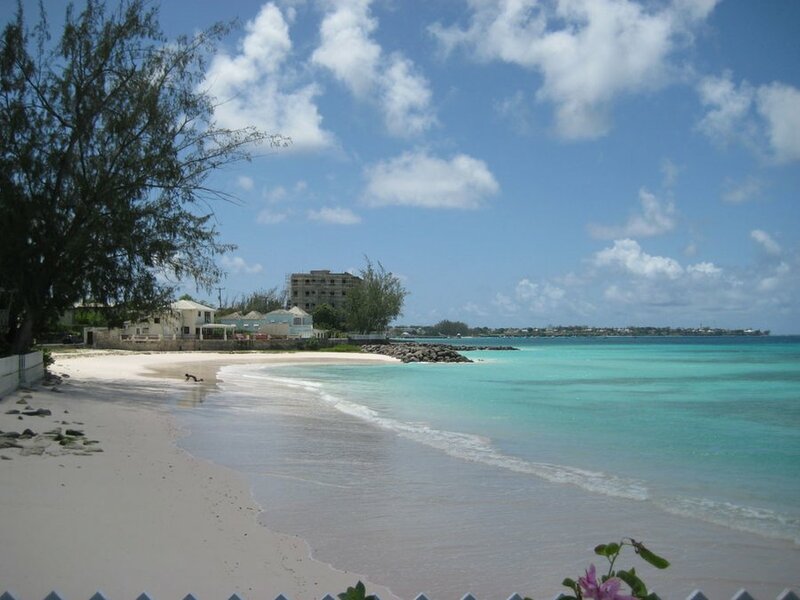 There are frequent direct flights to Barbados from London, Miami, New York and Toronto, as well as several other international airports. The apartment is a 10 minute taxi ride from the airport. There is a good bus service in Barbados, and taxis are not expensive. Most visitors however choose to rent a car, in order to explore the island. We loved our stay in Barbados! 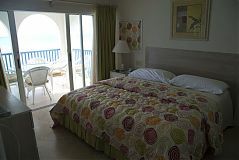 The condo on Maxwell beach was perfect - the location, the staff, and most of all the view from the balcony. Many thanks to IVHE and to the owner of the property for a terrific holiday! 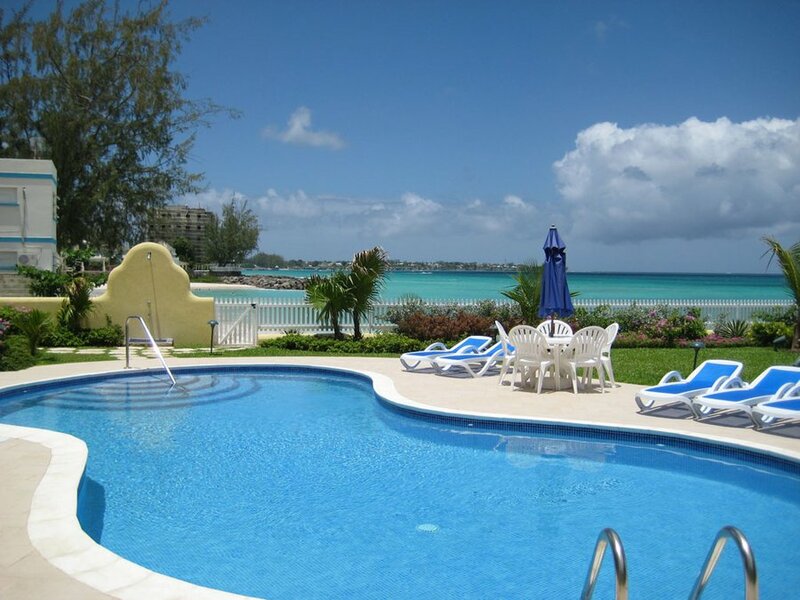 We stayed here for a wonderful seven days in May, would thoroughly recommend it and would be more than happy to stay here again, if we return to Barbados in the future. 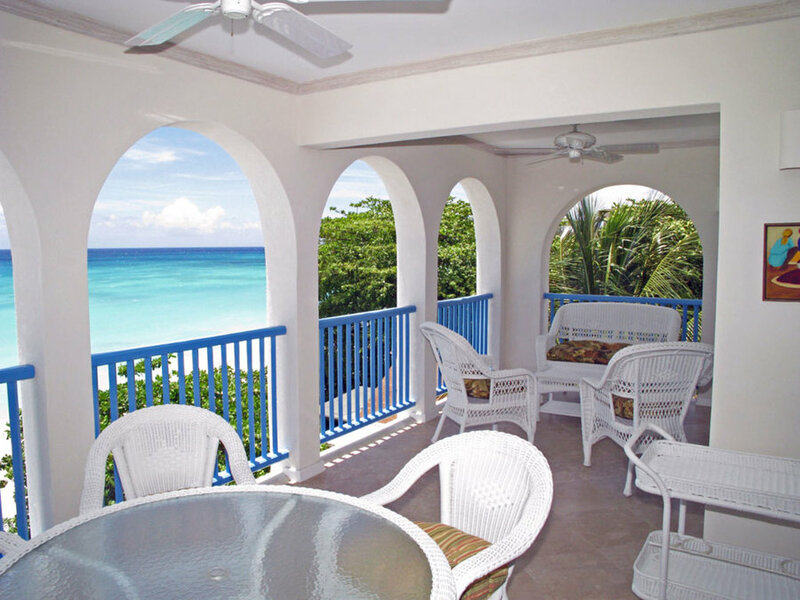 The apartment is well appointed, furnished and equipped to a high standard, with a great balcony overlooking the lovely garden and pool with the white-sand beach beyond. 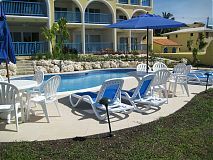 The location is ideal with variety of buses to other parts of the island stopping just outside and a supermarket within easy walking distance, as well as Oistins with its fish market, restaurants and evening entertainment, particularly on a Friday at the famous Fish Fry. Many thanks once again to the owner Gary. 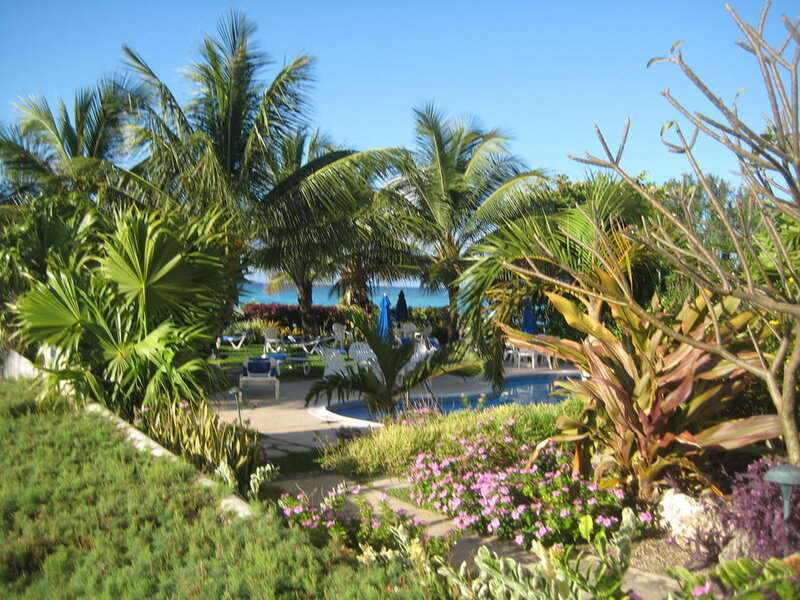 The complex has a wonderful pool, set in a tropical garden. 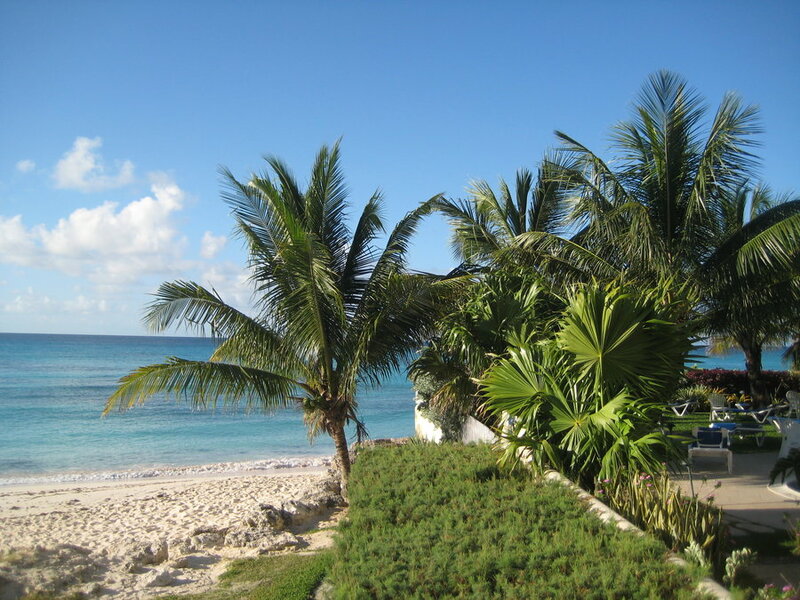 There is easy access to a secluded, white sand beach with some shade from the palm trees in the later afternoon for the more fair-complected of us. The bus to most points on the island stops just outside the villa on the road, and exploring Barbados couldn't be easier--no need to rent a car at all. The caretaker, Caesar, is not only a professional, but he is one of the friendliest people we encountered during our stay, and it was quite clear he enjoyed looking out for us and helping to make our stay as pleasant as possible.